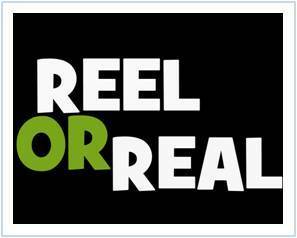 Where does "reel" stop and "real" start? Singing sensations to dancing stars, from fidelity tests to living constantly under the surveillance of cameras, it is a frenzy ride of emotions on Indian television. They call it "reality" show and reel every dream, aspiration and emotion in the bargain. There are disappointed contestants crying and judges fighting there personal war over scores and then there are stars, models and dacoits sharing a house. Indian television today has a range of reality shows that cater to the audiences' curious monitoring. These shows display a rare mix of happy cheers and often louder expressions of anger, sadness and frustration. Started off initially with formats like the Indian Idol, Kaun Banega Crorepati, Family Life Fortune etc., today reality shows have gone beyond looking at a person's talent or testing a person's general knowledge. Today reality shows are based on themes like fidelity tests, providing "emotional justice', parent switch etc. The shows display every human emotion possible and hold onto the curios roving eye of the audience looking for fresher and newer content. In recent times Rakhi ka Swayamvar tried to get the glam queen Rakhi Sawant to choose her life partner on screen and on Bigg Boss 4 television actors Sara Khan and Ali Merchant got married in the 24x7 camera-monitored house. So while marriage partners are chosen and marriages made on reel, while kings and queens fight it out on compatibility and for money, the big question that hangs around is-Where does "reel" stop and where does "real" start? Adgully spoke to the leading minds of the industry and put across the question to them 'How real is Reality Television? 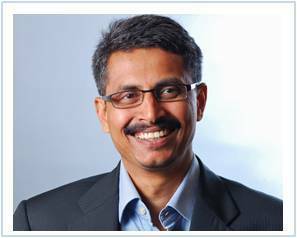 Answering the question promptly, Gowthaman Ragothaman, Leader, South Asia, Mindshare, says, "Reality Television is not real. It is meant to excite consumers or viewers to watch but the viewers don't know that it is not real. I believe that it is more of scripted material than just reality." 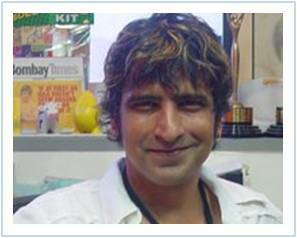 Echoing similar sentiments, Sonal Dabral, Managing Partner (India) and Head of Creative (Asia), Bates 141, says, "Reality shows started off as being real, but now they have slowly started entering the same genre as the soap operas. When the reality in these shows is becoming so dramatic, moreover with so much of planted drama within the reality show format, I don't know how good it is for the whole concept of reality Television." The shows while based on human emotions and expectation have a certain voyeuristic feel to them. 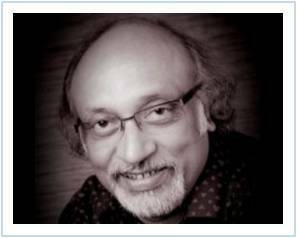 Acknowledging this point, K.V.Sridhar, National Creative Director, Leo Burnett India, says, "If we were to believe that every film-star lives the way he acts in a film then it's a myth. Hence it is a myth that whatever happens on reality shows is actually real. It is a drama which is being created, and the audiences just play their voyeuristic self and enjoy watching it. Things like fights, betrayals etc do happen in real life but in reel they re-create those emotions because they know what will catch our attention. I am not saying that they cook up everything but they certainly create an atmosphere for people to explode." The other factor that makes the reality show hit the radar is the fact that the participants who make it to the show are people who are carefully selected or cast. This process itself disables the "real' factor of these shows to some extent. Talking more about it, Sanjay Ranade, Reader, Department of Communication and Journalism, University of Mumbai, says, "Reality shows are not real at all in terms of them having spontaneous reactions. Besides, the so called competition in these formats is amongst the people who are chosen to be a part of the show. Reality Television is the closest they can have entertainment getting real. Everybody has aspirations to be like their favorite star or singer and these shows let you fulfill that aspiration."